Who Am I to Tell You How to Manage Pain? As a Professional Nurse, my experience is extensive in the field of pain management. Some consider me a pain management expert. Doctors and nurses consider me an authority on the pain management subject. Please note, information on this site is not intended to diagnose, provide a medical or nursing diagnoses or treatment for any health condition. The sole purpose for this site is help you become a more educated consumer. As a Holistic Nurse, I have had an over 92% success rate at minimizing or eliminating pain in the health care system patients I case managed. Those who are my clients in my holistic nursing practice I have had an even better success rate. Legal Stuff: If you are currently under a doctors care, you should not alter your treatment plan with out speaking to your doctor first. 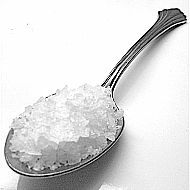 Using water and salt could cause some medications to work too good and cause further health complications. 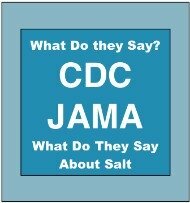 For some diseases or conditions, you should not take the salt at all. 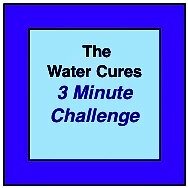 Always ask your doctor and pharmacist before trying the water cure. Always talk to your doctor and or pharmacist about any changes you may want to make in your health care management. In the hospital setting, my nursing treatments were based on what the doctor ordered. Making sure the patients got the right medication at the right time was essential to help them manage pain. As a nurse, I also had an arsenal of other types of pain management tools. Some of these were psychological and some were physical. Sometimes I could make pain go away simply by helping the patient re-position, move or in some cases just stand up and walk. 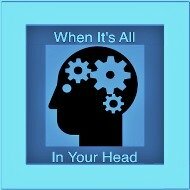 Pain can be managed by tapping into our mind. No, not Jedi mind tricks but, they were close. Helping people to divert their attention would help some. Then, on making a career change to Hospice, my skills became even more finely honed as a pain management expert. Hospice Doctors and Nurses on the forefront of medical pain management. It was not uncommon for doctors to ask me for suggestions on which pain medications or combinations to use. It was also common to find those nurses who were new to the profession (and occasionally not) who did not know how to effectively manage pain. Even today, when advocating for patients in the hospital, I will make suggestions to the nurse to share with the doctor. The nurses will reply, "I think the doctor is well informed on such matters." The fact is, they are probably not. Unless they are actively researching on pain management along with the many other things they need to keep up on, they will not know. Excuse it as Compassion Fatigue or Should We Be Outraged? Another problem is compassion fatigue. In December of 2015, I was visiting a patient in the hospital. While the nurse was giving report at the change of shift right with the patient in view, the patient complained of leg cramps. I went and put pressure on the foot to help alleviate the pain. The patient said it helped but not much. He then said it was the worse pain he had ever felt. Looking to the nurse, I asked if there was anything we could give him. (I knew the answer but I wanted to see her response). She suggested orange juice. Ok, potassium could possibly help. If a packet of salt was added and stirred in, it would absolutely help. The nurse said, I will get it right after report. I asked if I could get the OJ. She said it was locked up because so many were on fluid restrictions. She must have forgot that the fifth vital sign is pain. I did not bother asking if she even charted the pain. Nobody came back to follow up to see if the pain was relieved. We constantly get flamed for equating holistic nursing and alternative nursing as being the same. While I practice alternative health care modalities, I still work extensively with doctors. So, I still work in the system. Holistic means working with the whole. That is a nuance difference but many hospital based nurses fail when it comes to holistic healthcare as they have constraints placed on them by the system that just do not allow it. This is just one of the reasons I became a pain management expert. One day on visiting a new facility and a new patient, I called the patients doctor to ask for pain management medications. The patient was admitted to the long term care facility with a broken collarbone (an unusual and very painful break). She was not ordered anything other than acetaminophen for pain. After asking and writing the order for Ibuprofen for her bone pain, the Director of Nursing, standing near and overhearing my request said, "I hope you never care for my mother." On apologizing and asking what the problem was, she said, "If my mother had a broken collar bone, I would hope you would put her on something stronger than Ibuprofen,"
Apologizing for my ignorance and asking what she would have recommend she snapped, "morphine." On pulling out of my bag a pain management guide with evidence based treatment plans, the book was opened to the section on bone pain. There, reading to this nurse, it said that NSAID's and in particular Ibuprofen was 6 times more effective in treating bone pain than morphine. Now it was her apologizing to me. There was a 600 pound gorilla in the nurses station though. You do not have to be a pain management expert to see this. Why was the woman admitted to her facility with a very painful collar bone break without any pain medication? The nurses are the gate keeper to make sure that doctors do not miss anything. Yet she (the Director of Nursing) and the admitting nurse allowed this patient to be admitted, not noticing that she not only did not have any pain medication, she was in excruciating pain and nobody was doing anything about. This patient was admitted to hospice after she was admitted to this facility. Thus, the reason for my seeing her and looking at her admission paper work. Oh yea, the pain management worked quite well once it was initiated. And as to the nurse, well, she or any other nurse cannot know everything there is to know. I am quite passionate about pain management so try to keep up to date on everything about pain. One good thing, now she will be a bit more knowledgeable. One day visiting a patient on Hospice in a long term care facility, there was George (not his real name) and he was in pain. What is interesting is that George never spoke. The grimace on his face spoke for him this day. So popping my head in the door and asking, "George, what's the matter?" it was a big surprise when he said, I hurt." Asking where, he said his hand. This hand in particular had contracted or was like a clinched fist and would not open. It was not my day to see him so my option was to tell his nurse. She was busy, speaking on her cell phone in what appeared to be a personal matter. On my approaching her in the med room, the conversation came to an end. On telling her that George was experiencing pain, she said he always complains of pain. "Please help me understand, when I come in and ask for report on George and you say he is doing fine, how come you never told me he complains of pain? My job is to manage his pain and help him be pain free. I cannot do that if I do not know he is in pain." I asked and got no answer. "Also there is no entry in the chart about his having said that he is having pain in his hand." Suggesting that she could go and take care of his pain, her response was, (yes, she really said this), "I'm busy right now." "Correct me if I am wrong but unless someone is coding (having a heart attack), pain management is the first priority." was my reply. Quite frustrated at me, she began to pull up 2 Acetaminophen for George. Now getting really annoying to her, my next response, "Please forgive me again but the last two studies on acetaminophen showed that a placebo worked better for managing arthritis pain, what his pain most likely is. She said that this is all the doctor ordered. I asked, "Then why did you not question the doctor? This is your job." Mind you, this was all said quite calmly and respectfully. I took over the care at this point. Calling the doctor, explaining that this is the first time being aware of his hand pain. The doctor asked for my thoughts saying, "Your the pain management expert, what would you recommend?" Pulling out of my pain management expert experience bag, I asked if we could try a duo of Baclofen and Siniment. The doctor agreed it was a good call. WE did not know what kind of pain George was feeling as he did not speak. To know his pain required playing detective. There was no notation of this pain in the nurses notes. The med duo worked but it still did not answer the question as to why the pain. Explaining the situation to the social worker, I asked if she could help me track the pain and what was causing it. She agreed to peek in the room once or twice every day and see if he was in pain by his facial expression. The following weeks visit to the social worker, the answer to my question was waiting. With a big grin, she told me that he hurt when ever it rained. There has been considerable research to back up the signaling of arthritis pain and rain. Our joints have sensory nerves called baro-receptors. These respond to changes in barometric pressure, especially when we have sever thunder storms. The lower the barometric pressure, the greater likelihood that they signal by causing pain. Armed with this, every time it rained, the staff was taught to take special note and treat his pain accordingly. Why Did His Pain Go Away With Out Pain Medications? Evidently, his pain was at a level he could deal with in normal weather. The stress of the hand contracture (his hand held as a fist), got worse with the rain storms. Relieving the stress of the muscles squeezing decreased the pain. The Baclofin and Siniment did just that. Although not good for long term use, in the short term, the duo relieve his pain by relaxing the muscles. Not all nurses are passionate about nursing. Even fewer are pain management experts. However, who ever you are and no matter how humble you may be, the squeaky wheel gets the grease. This is not suggesting you tell nurses and doctors how to do their job. Rather, by being quietly assertive, you can make sure that they do their job. Do not yell or demand. Simply ask and you will get, seek and you will find. From hospice to holistic nursing, my career took me to the place I always wanted to be but never knew. You see, while most kids were reading comics I was reading Prevention Magazine. While most were playing games, I was reading my subscription to Moneys Worth. Natural health maintenance and frugality were interests since I was 7 years old. So, when introduced to holistic nursing, I realized this is where I always wanted to be. Becoming a pain management expert was benefit. At the age of 5 I had cured myself of asthma. At least that is the last time I had a serious attack. At that age, I became a salt-a-holic and never had another attack. 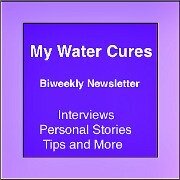 I subconsciously knew what we know now, water and salt cures asthma. At 18 when severely burned from a forklift radiator, I treated myself with cold processed vitamin e oil. It was not for another 20 years that it became a standard treatment in health care. As a nurse, with continued training to become one of only a few nurses certified in Bloodless Medicine and Surgery. my training and education in this field grew. 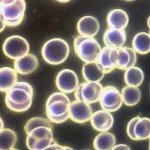 Bloodless medicine primarily using holistic management. My training and experience helped me become an expert in the ways of naturally managing blood diseases and anemia's. These treatments are so effective, the most progressive hospitals are now using them as part of their treatment modalities. 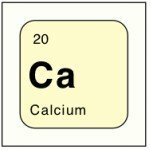 Two of the holistic treatments I proposed and were used in several Pennsylvania hospitals are now being studied by Penn State (at this writing). Then I got sick and the health care system could not help me. 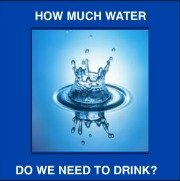 It was in my research on my illness that learned how we can heal our bodies with food, water and salt. My experience as a pain management expert helped me personally as well as hundreds of others.